Log into your Gelato account here: https://gelato.io/app , click the APIs & Docs tab, and then click the Add new API button. Give your new API a name and then add a version number and some other basic information about access and click Save version. 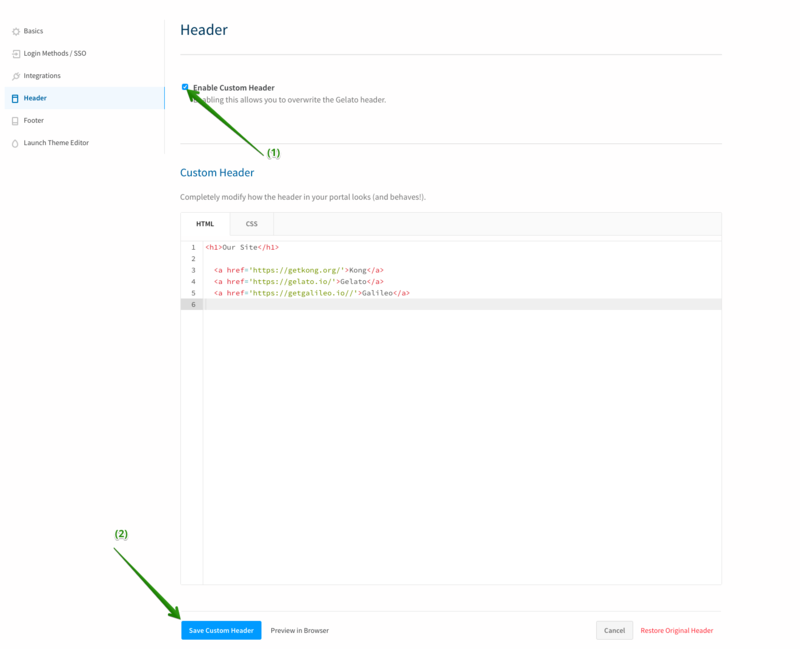 Finally, click Import an API Definition and follow the onscreen instructions for importing your Open API (formerly known a Swagger), RAML or API Blueprint document. From this page, you can customize the overall appearance of the portal. In the Basics tab, you can upload your logo and add text. This is where you will also set the brand color (this will always be the background color for the header). You can also customize the favicon (we’ll convert it for you too). 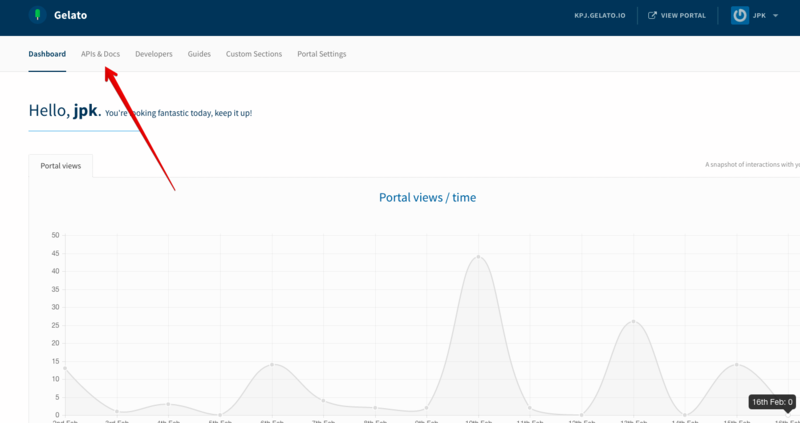 Once you are happy with the way your portal looks, click the publish button to bring your changes live. Before you save your changes and make them live on your portal, click Preview in Browser to get a preview of how they will appear. Once you have everything looking the way you want, simply click the save custom header/footer button and your changes will be made live. If you need to revert back to the original header/footer, no sweat! Just click the Restore Original Header button and everything will be restored to the previous state. If you have any questions about portal customization, don't hesitate to reach out. We love hearing from our customers!